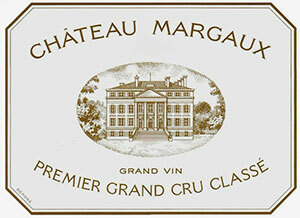 The 1996 Chateau Margaux, which was bottled in September, 1998, is undoubtedly one of the great classics produced under the Mentzelopoulos regime. In many respects, it is the quintessential Chateau Margaux, as well as the paradigm for this estate, combining measured power, extraordinary elegance, and admirable complexity. I tasted the wine on three separate occasions in January, and in short, it''s a beauty! The color is opaque purple. The wine offers extraordinarily pure notes of blackberries, cassis, pain grille, and flowers, gorgeous sweetness, a seamless personality, and full body, with nothing out of place. The final blend (85% Cabernet Sauvignon, 10% Merlot, and the rest Petit Verdot and Cabernet Franc) contains a high percentage of Cabernet Sauvignon. It tastes complete and long, although backward. My instincts suggest this wine will shut down, but at present it is open-knit, tasting like a recently bottled wine. The fruit is exceptionally sweet and pure, and there are layers of flavor in the mouth. I do believe this wine will develop an extraordinary perfume, and possess a high level of richness. Anticipated maturity: 2005-2040. The 1996 Chateau Margaux, a blend of 82% Cabernet Sauvignon, 12% Merlot, 4% Petit Verdot and 2% Cabernet Franc, must be a strong contender for wine of the vintage. It offers everything you desire from this First Growth. It is blessed with breathtaking delineation and freshness on the nose, understated at first and then blossoming with mineral-infused black fruit, hints of blueberry, crushed stone and violet. The palate is perfectly balanced with filigree tannin, perfect acidity, a wine where everything seems to be in its right place. Blackberry, crushed stone at the front of the mouth, just a touch of spice towards the finish that shows supreme control. This is a Margaux that seems to light up the senses. It was outstanding in its youth...something that has not changed one bit over the intervening two decades. This may well turn out to be the Left Bank pinnacle of the 1990s. Tasted July 2016. Drink 2016 - 2050.